went out a couple days this weekend before the lsu embarrassment. 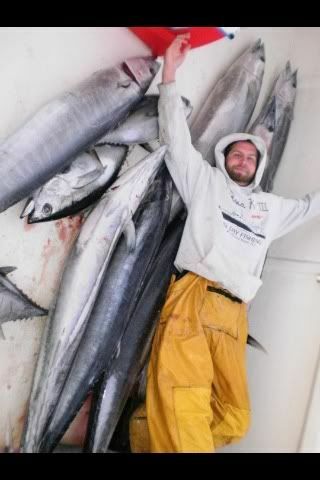 Wish I would have had a trip to fish yesterday Would have had a lot more fun killing wahoo then watching Les Miles be outcoached. 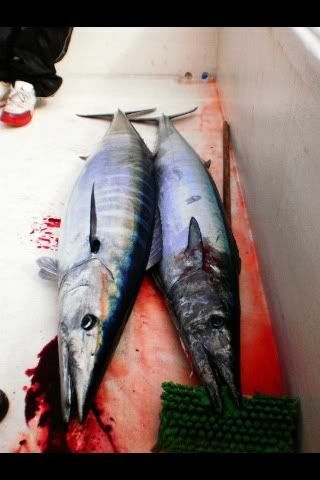 Wahoo fishing has been on fire out of venice. 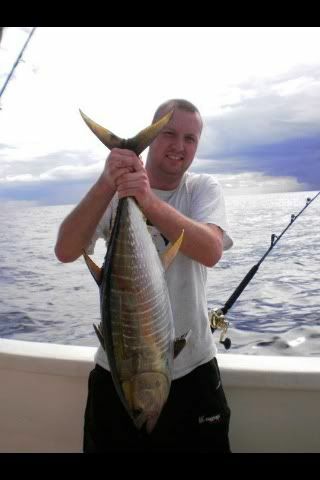 On day one I started about 18 miles offshore and never eally had to leave. We were trolling bombers and xraps by the rigs and getting as many bites as we cared to get. The biggest one was caught by Amy Dean and weighed 85 at the dock. Most of them were in the 40-50 pound range. 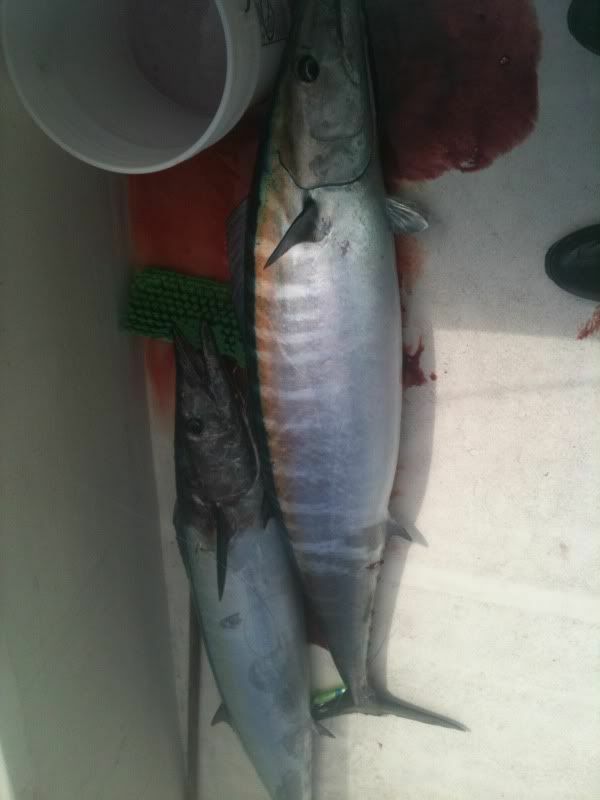 After we had put our 9th wahoo in the boat at 9 am we decided we had plenty of hoo meat. Went looking for ajs and scamps. Ajs didnt happen but we did get a few scamps in the boat on jigs. 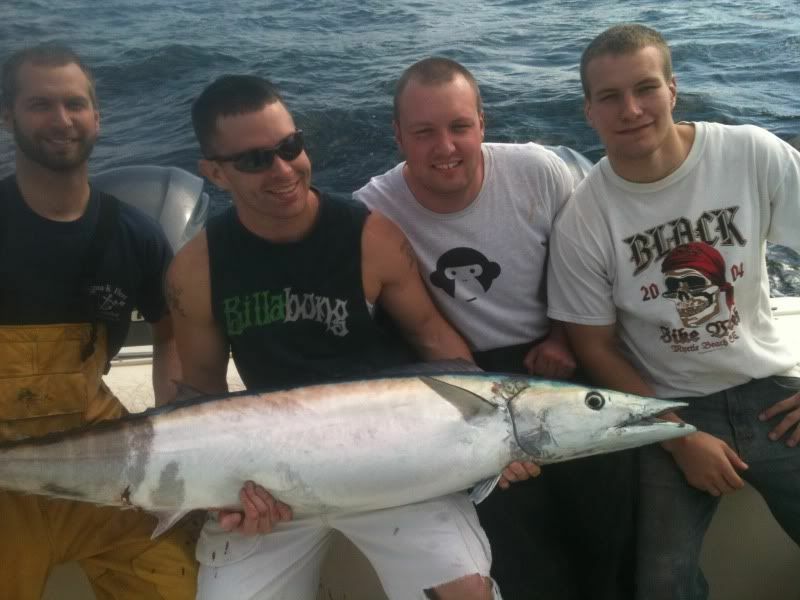 We headed into the dock with 9 wahoo and five scamp for a fish cleaning party. Day two was more of the same with John Mcdow and crew. 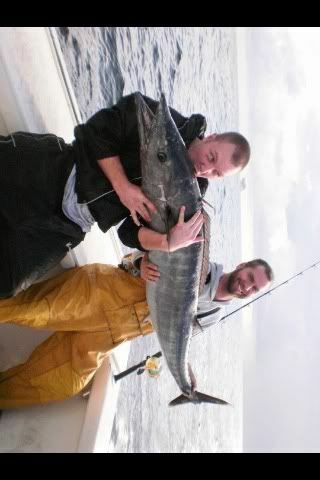 The wahoo turned on a little later but turn on they did and using the same M.O. 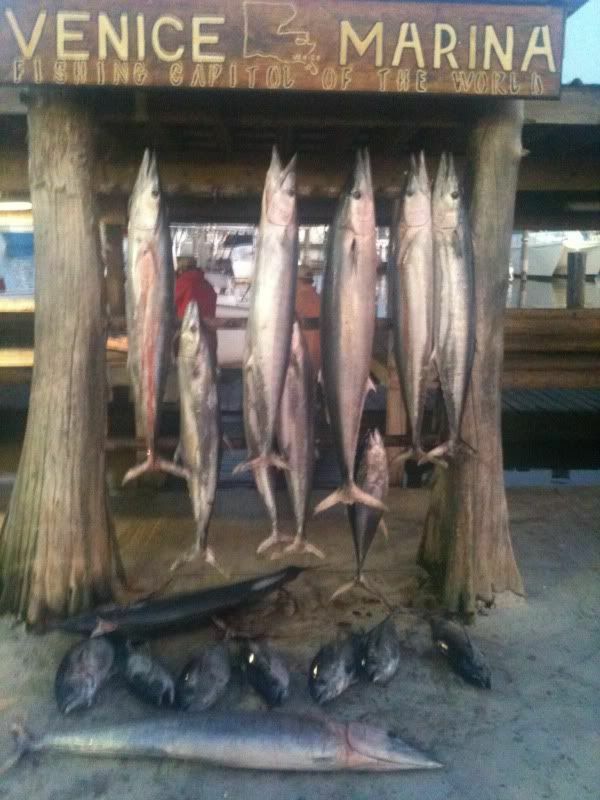 Bombers and xraps we quickly put nine hooters to 77 pounds in the box as well as a big blackfin. 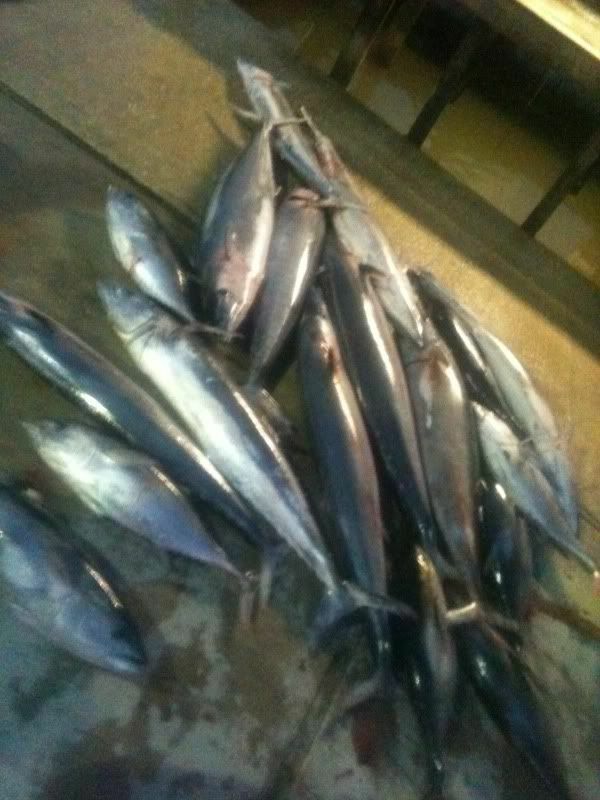 Around then we decided to go exploring for some tuna and we found one yf at a nearby floater and a bunch of big blackfin from some shelf rigs that we got on jigs. After we moved around looking for some bigger yf with no luck we headed in with 9 wahoo, 7 blackfin, and one yellowfin plus a smoker king.